Dear all Samsung Galaxy S9/S9+/Note 9 users! Although the Android Pie beta update is already available for your device, and even the early official Android 9.0 update is also being rolled out to your Galaxy phone, there are still many bugs and unexpected issues on this new update. So, whether you’d like to try a nearly pure stock Android 9.0 version on your phone? Once your device runs on a stock Android build, it will very fast and especially, it will take lesser resource on your Galaxy S9/S9+/Note 9. 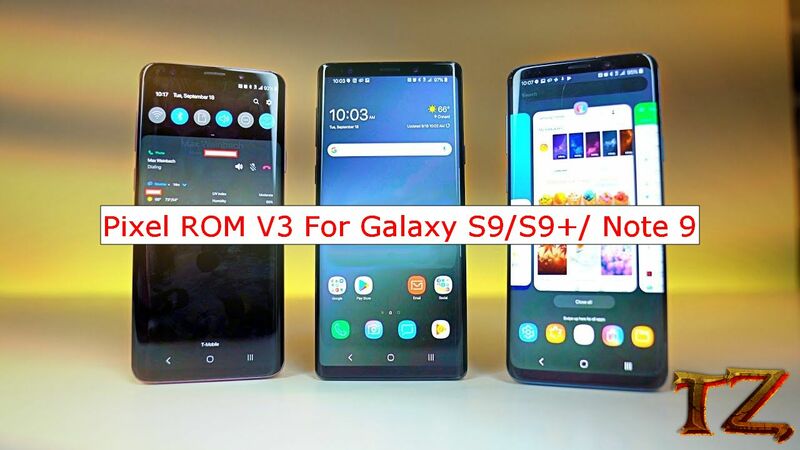 Should you want to give it a try while waiting for the stable Android Pie update from Samsung, then this post today would like to introduce to all Galaxy S9/S9+/Note 9 the Pixel ROM V3 Update based on Android 9.0 version. Before getting started, you should prepare some things first so that the process can be successful. Install a TWRP 3-2-3 recovery to flash the ROM. Back up all your important data as the process will erase everything from your phone internal storage.